Over the past week, Rush Limbaugh dissected the advice that Samuel Francis gave to Pat Buchanan in 1996 and Sam's perceptive forecasting that a populist candidate — such as we see in Donald Trump — would emerge on the political scene. 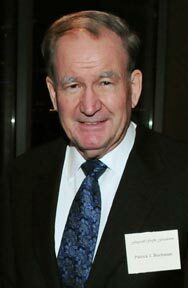 Below is an article by Pat Buchanan discussing this issue. WASHINGTON, D.C. — The lights are burning late in Davos tonight. But set aside Joe's slurs — demagogues, xenophobia. James Burnham, the ex-Trotskyite and Cold War geo-strategist whose work Francis admired, called liberalism "the ideology of Western suicide." Trump is not the last of the populist-nationalists. Copyright © 2016 by Creators Syndicate. It appeared originally on January 22, 2016.